In "Of Fathers and Sons", filmmaker Talal Derki observes the radicalization of children in an Islamist community in Syria. “Of Fathers and Sons” tells the story of Abu Osama, a bomb expert and founding member of the Al Nusra Front, an offshoot of Al Qaeda. Throughout the film, Talal Derki watches as Abu Osama grooms his eldest sons – just 12 and 13 years old– to follow in his deadly footsteps. In one scene, a group boys make an improvised bomb using a plastic water bottle. In another they talk about beheading a bird like their father had done to a man. Derki is no stranger to conflict zones. He worked as a freelance war journalist for CNN and Thomson Reuters. His 2014 documentary about the Syrian Civil War “The Return to Homs” earned him the Grand Jury Prize at Sundance. He lives in exile in Germany. He spoke with guest host Steven Cuevas when he was recently in Los Angeles. “The Visitors,” up now at The Broad museum, is composed of nine video screens. 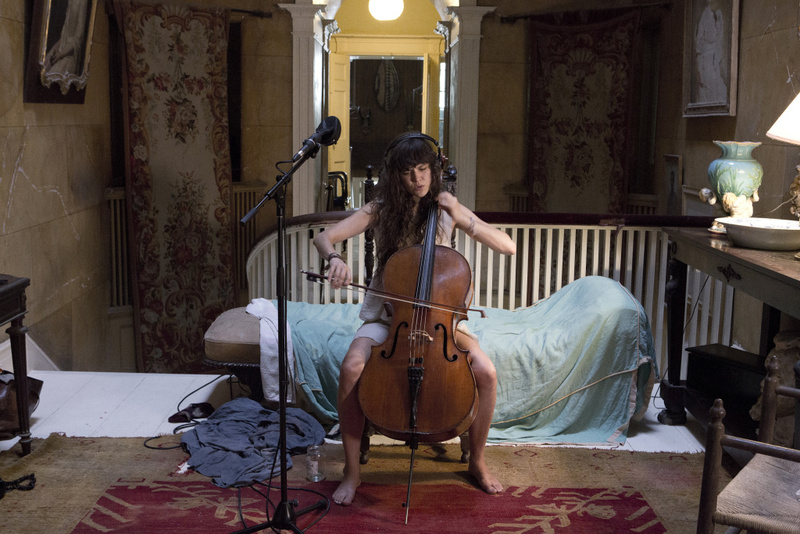 Eight feature musicians playing in separate parts of a decrepit upstate New York mansion that’s equal parts antique and bohemian. The ninth video is of the front porch where a group of people sing and occasionally shoot off an old cannon. These “singing paintings” were created by the Icelandic artist Ragnar Kjartansson in 2012 and for him, it's a tribute to the bygone era of American liberalism. He finds California is the perfect place for it to live now. On LAIST you can see our list of movies worth venturing out to the theaters to see this holiday weekend. But if you'd rather chill at home or you're hanging out with relatives in a Turkey coma we have some suggestions for what's worth watching on the small screen.